Eric J. Topol, MD: Hello. This is Eric Topol, editor-in-chief of Medscape. Today I am talking with an extraordinary person, Patrick Soon-Shiong. Patrick is not only a surgeon, scientist, and entrepreneur; he's the CEO of NantWorks, and he's doing a big thing in cancer. Before we get to the Cancer MoonShot 2020, what is your background? You are originally from South Africa. You were at the University of British Columbia (UBC), and then you went to the University of California–Los Angeles (UCLA). Patrick Soon-Shiong, MD: I was born in South Africa, and I finished medical school very early. I went to UBC and to UCLA, where my interest was in protein-protein interaction. I entered a surgical residency program and did the first pancreas transplant at UCLA. I thought this was dangerous and decided to figure out how to use stem cells and encapsulated islet cells. Then, we did the first encapsulated islet cell transplant in Los Angeles. That spawned a lot of work where I am now, in cancer, because I was funded by NASA. That NASA experience was one of the most exciting experiences. I was part of the space shuttle program, and we put stem cells into the space shuttle. I began to learn about how to get molecules into the cell to feed the cell. The concept was not to starve the tumor but to feed it—feed it with rat poison—which meant that I needed to get into the tumor microenvironment. That's how I got to what I'm doing today; I was trying to understand what causes the cancer cell to evade the immune system. Dr Topol: The key is the immune system. You cued in, I'm sure, in your work with pancreas islet cell transplant that this was going to be important. As time moved on, you've pivoted in cancer from killing the tumor to supercharging the host's immune system. Is that the central thesis? Dr Soon-Shiong: That's exactly the thesis. Dr Topol: How are you going to do this? You think big, which is one thing that I really love. How are you going to pull this off? Because this is not, of course, the way that cancer has been looked at and treated for decades. We actually induce cancer recurrence, and then we call it incurable. Dr Soon-Shiong: You are right. We vow to effect change, and change is difficult. We have been treating cancer by actually thinking of it as a battle. The way we've been doing this is by giving chemical poisons. The way to think about it is like flying over and doing indiscriminate chemical warfare on the patient, so to speak. You hope not to cause collateral damage. Then, you think you have killed the cancer cell. Unfortunately, the cancer cell is not one cell; it's thousands of cells and mutations, some of which are asleep. In fact, what we do is actually induce resistance, induce the micrometastases, and induce the toxicity. We induce even the recurrence, and then we call it incurable. It's difficult for me to explain. Maybe we, although well meaning, thinking of cancer as anatomy and using chemical poisons, have been responsible for wiping out the immune system. You and I are born with that as a God-given protection against cancer. The way I think about cancer is that "cancer is you," meaning that you own it; you're born with it; you are it. But you have a protective mechanism to protect you from it. The reason is because cancer is actually just the flip side of your stem cell regenerative process. Your body has figured out a way to protect that. The reason I got into this is that, in my world of transplantation, I was trying to induce your body to not reject the cell I'm giving you. Cancer has figured out how to actually do that. Cancer has figured out how to hide. Dr Topol: The cancer is too damn smart. We need to think of cancer as biology rather than as anatomy. Dr Soon-Shiong: It's not only smart to hide. It has actually hijacked every mechanism of your human cell machinery to feed itself, to take away all the nutrients. That's why, regardless of the tumor type, every patient loses weight. Why? Because they've taken away this machinery, regardless of the tumor type. We need to think of cancer as biology rather than as anatomy. Dr Topol: Before we get to the Moonshot Program, which I know has taken a while to assemble, you made a switch in your career. You moved from being a traditional academic to become a biotech entrepreneur. Was that partly because you couldn't actualize your ideas in an academic environment? Dr Soon-Shiong: Yes. I was a young assistant professor trying to publish. I had a National Institutes of Health R01 grant, a VA Merit Review grant, a NASA grant, and then this grant. And I had invented a nanoparticle. Then, Matt Suffness from the National Cancer Institute invited me to the second international conference on Taxol®. I handed this nanoparticle to Bristol-Myers. They said, "We're launching Taxol, so please go away. We don't think this is possible to manufacture." That was a flexion point in my life. I could go on being a surgeon or I could say, "The tumor microenvironment is so important, I need to find a way to manufacture this." So I left the university to go into a company that was losing $1.5 million a month with 600 employees in Chicago. Through my passion for this, I was able to convince the CEO to let me take on this company just so that I could invent the technology that was necessary to make this human nanoparticle out of blood—trillions of them, as had never been done before. Dr Topol: It was a big bet. Dr Soon-Shiong: It was a big bet, but it wasn't actually a bet. The way I thought about it was that this was an extension of my science. It was merely an extension of basic science into what I called translational science. Think about that. This was around 1989, 1990, and 1991. The good news is that we were successful. What I have never lost is trying to create a company to develop an infrastructure and a technology that could have a big impact on patients. Dr Topol: You had strong conviction that it would work, and it was scientifically based. That has been a theme for you. In more recent times, you were with Vice President Biden at or near the time of his son Beau's death? We need to overcome this competitive thought that our technology is better than your technology, etc. It's all about the patient. It's whatever technology works on behalf of the patient. Dr Soon-Shiong: Without going into too much detail, we were called by the family to assist in diagnosing what was going on. We were involved in performing the whole genome sequencing on Beau, so we were involved very early on in terms of the next treatment that would be needed for his recurrence. Unfortunately, he passed away. It was a very tough experience for the family. It also showed me how difficult it is to get information across that can make important differences in outcomes for patients' lives, and that we need to overcome this competitive thought that our technology is better than your technology, etc. It's all about the patient. It's whatever technology works for and on behalf of the patient. We have learned about that, and Vice President Biden learned a lot about that. When Beau passed away in May, I was at the American Society of Clinical Oncology meeting. It was very sad. In October, I could see that Vice President Biden was very depressed, and rightly so. He invited me to the White House, and I brought a two-page white paper explaining everything we said in our talk about combination immunotherapy and the need for whole genome sequencing. Dr Topol: It's about mapping the cancer, understanding the immune system, and leveraging everything we know about immunity for the host. Dr Soon-Shiong: We called it a "Moonshot." I asked him whether he was going to run [for President]. I was hoping that he would run, because I thought that this could be a moment when he could bring the country together around cancer. He made the announcement in the Rose Garden the next week that he wasn't going to run but that he was going to take on the Moonshot. Dr Topol: You had some influence there. Dr Soon-Shiong: He then came to visit me in Los Angeles in November. Nobody knew about that visit. He spent 4 hours with me on our campus, a 15-acre quiet, little campus that we have been building for 10 years. Dr. Topol: This is NantWorks? Dr Soon-Shiong: It's what I call the "Bell Labs of healthcare.” We knew by 2005 that this would be difficult for people to understand. We needed to build infrastructure for the nation. You and I have had this talk before, when I took on the National LambdaRail, and the amount of data—we are talking about terabytes of data per patient—that needs to be moved around. We wanted to capture the patient's vital signs to monitor outcomes in real time. So, this whole Internet of medical things is a tool with one purpose: to monitor the patient in real time, create mission control, provide the next-generation molecular diagnostics that will identify the neoepitopes, give the patient a vaccine, drive vaccine immunotherapy, and change cancer care forever. Dr Topol: You really have understood the importance of high-definition human beings, and you're applying that principle—whether it's vital signs and everything else that makes us tick, or our immune system to achieve better cancer outcomes for people. The Cancer Moonshot 2020—can you give us a thumbnail sketch? This brings together life science, industry, governments, nongovernmental organizations, and the whole globe, which you have been orchestrating. Tell us more about what your expectations are. Where do you think this is going? Dr Soon-Shiong: We have to be very pragmatic in using what we learned from developing Abraxane®. We have to show an ability to have measurable data in a relatively short period of time—I say 4 years. We need to take all tumor patients and create what we call a discovery engine, where we actually do a complete GPS—meaning, the whole genome, the whole proteome—to identify the neoepitopes. We take these patients and place them into a biological basket, so to speak. Then, we separate them into the anatomical tumor types, because that is how doctors are comfortable thinking about it—breast cancer, lung cancer, pancreatic cancer, so be it. Then we separate those subtypes into their stages, because a patient with end-stage disease is very different from patients who are just diagnosed. We then do comparisons in each of these subsets of the standard of care vs next-generation therapy. My view of the next-generation therapy is to take this high-dose standard-of-care chemotherapy and reduce it to low-dose chemotherapy given in the outpatient setting. Then, we engage in hand-to-hand combat with the cancer cells in real time with the dendritic cell, the natural killer cell, the T cell, and the suppressor cell. Dr Topol: The kitchen sink. The Moonshot is a real-world program that with real-world data is asking a real-world question and will generate real-world remissions. Dr Soon-Shiong: It is the kitchen sink, because you are made up of a kitchen sink. That's what protects you. The idea is to complete that in less than 4 years and have randomized controlled studies that say, "Okay, this hypothesis has some bearing." Then, let the pharmaceutical industry go its own way and do its registration phase 3 trials. What we will have created, very much like the Cancer Genome Atlas, is a program that, with real-world data, is asking a real-world question, and hopefully, in the treatment arm, will generate real-world remissions with the lowest toxicity and highest outcomes possible. That is the hope and the hypothesis, but you cannot do this with any one organization. You need to do this not only with every organization, but with the whole world. Dr Topol: You are in touch with perhaps the biggest obstacle besides the basis—the biologic understanding—and that is the unwillingness, until now, to share data at scale. That is, with no barriers and no boundaries. You are committed to this, right? Dr Soon-Shiong: Right. We actually brought something called "NaviNet Open." It's open so that every doctor can have access to the information in real time, subject to privacy rules, so that patient data will be deidentified. They can see the outcomes of patients in real time. Although data sharing is one issue, I call it the "arrogance of dogma." I won't mention names, but there are people who are very high-profile who, 2 years ago, 3 years ago, actually pooh-poohed even the concept of genome sequencing as academic; who pooh-poohed even the concept of a PD1 checkpoint inhibitor, and tragically, even prevented patients from receiving that treatment because of the dogma. You need to overcome that. I'm at the stage of my career now where I can take that on. Dr Topol: If anybody can, it would be you. Dr Soon-Shiong: If this is real, we now have the opportunity we want—my wife Michelle and I want—to create the equivalent of the Wellcome Trust in this nation. The Chan Soon-Shiong Institute of Molecular Medicine is already formed. It's a medical research organization, like the Howard Hughes Institute. We want to give billions of dollars away—that was part of our giving pledge into this trust—so that we can create institutes that will train the next generation of clinical scientists who can overcome dogma and look at this thing as a system. Dr Topol: That's terrific. We applaud you for your big thinking. As physicians and patients, we are all hoping that a lot of these things will click. There is no shortage of naysayers, as there usually is in medicine. 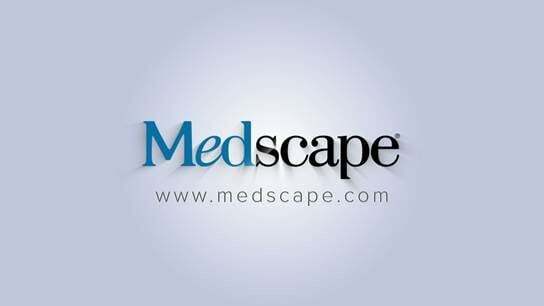 Thank you so much for joining us on Medscape. It's been a fascinating interview. You certainly fulfill the distinction of being one of the most interesting people in the world of medicine. Cite this: Eric J. Topol, Patrick Soon-Shiong. A Biotech Billionaire's Cancer 'Moonshot' - Medscape - Apr 20, 2016.